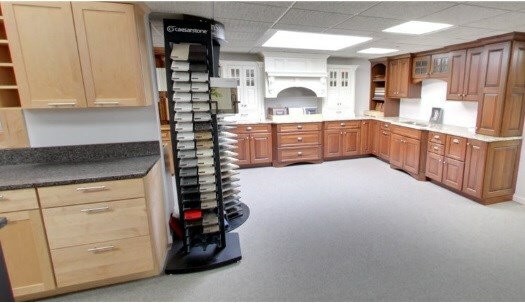 Are you looking for top-quality Barrington wholesale cabinets? Lakeland Building Supply is here to provide the furniture that your home or commercial property requires. Whether you need wholesale cabinets for your new home or your new business, we carry the models that you've been looking for at the prices that you can afford - including products from Mid Continent Cabinetry, Omega Cabinetry, Shiloh Cabinetry, Dynasty Cabinets and Top Knobs. Our Barrington experts can provide you with the wholesale cabinets you've been looking for - no matter your exact requirements. Visit our showroom today to browse our extensive selection of top-quality Barrington wholesale cabinets, or speak to one of our representatives today to learn more about the options that we have on display. The Barrington building supplies experts of Lakeland Building Supply are proud to offer the Barrington replacement windows and wholesale windows that your home or business requires. Our showroom is stocked with models by Milgard Windows, Kolbe Windows, Lincoln Windows, MI Windows, CertainTeed Windows and Timeline Windows, and we look forward to matching you with the attractive and energy-cost-reducing windows that you need. Get in touch with Lakeland Building Supply today to learn more - call our Barrington wholesale windows experts or visit one of our locations today to learn how we can provide you with the replacement windows or wholesale windows you've been looking for. As a leading retailer of Barrington wholesale doors and replacement doors for both residential and commercial clients, we understand how to provide you and your family or staff with the equipment that meets both your aesthetic and commercial criteria. 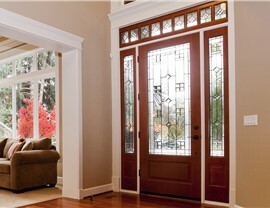 Our Barrington retailers carry equipment from Kolbe Doors, Lincoln Doors, Simpson Doors, Milgard Doors, MI Doors, ProVia Doors, Masonite Doors and ODL Decorative Glass. Please contact a Lakeland Building Supply representative today with your specifications or visit our showroom today to browse our extensive selection of Barrington wholesale doors and replacement doors. Turn to Lakeland Building Supply for the wholesale siding that you can trust. Our durable and attractive siding is made for years of use - and the attractive models that we carry from companies like NextStone Siding, North Cape Siding, Norandex Siding, RMC Siding, Alsco Siding, Hardie Siding, LP SmartSide Siding, The Foundry Siding, Shakertown Cedar Siding, Nailitie Siding and CertainTeed Siding will significantly add to your home's curb appeal. Want to learn more about Lakeland Building Supply? Get in touch with us today to learn more about the Barrington wholesale siding that we offer or visit our showroom today to browse our extensive collection of equipment. Your search for Barrington building supplies ends here - Lakeland Building Supply carries a wide variety of energy-efficient wholesale doors, wholesale windows, wholesale siding and more. We offer equipment from Lumberock, NextStone, Mid-America, Atlantic Shutters, Trex Decking, The Foundry, Shakertown Wholesale Building Products, Nailite Wholesale Siding, VELUX, Fypon, ODL Door Glass, OSI Sealants, DuPont Tyvek Building Supplies, GreenGuard Underlayment and Tuscan Manufacturing, and we're excited to match you and your family or staff with the exact equipment to meet your budget and requirements. 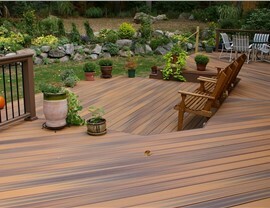 Lakeland Building Supply is sure to have the products for you, no matter the exact size and scope of your project. Please get in touch with our company today to learn more - call one of our representatives today with your requirements or visit our location and browse our expansive showroom. We look forward to matching you with the products that you need. Get exactly what you need with expert product selection and design services. Lakeland Building Supply, providing our customers with the most high quality building supplies combined with professional design and planning services is our main concern. We've been a primary provider of the highest quality windows, cabinets, doors, decking and siding in Northern Illinois for 40 years. Lakeland Building Supply offers quality building supplies at a wholesale price. We provide direct pricing to all our customers. We strive to meet or exceed client expectations. From selecting premium materials to designing your space, we're here to help!